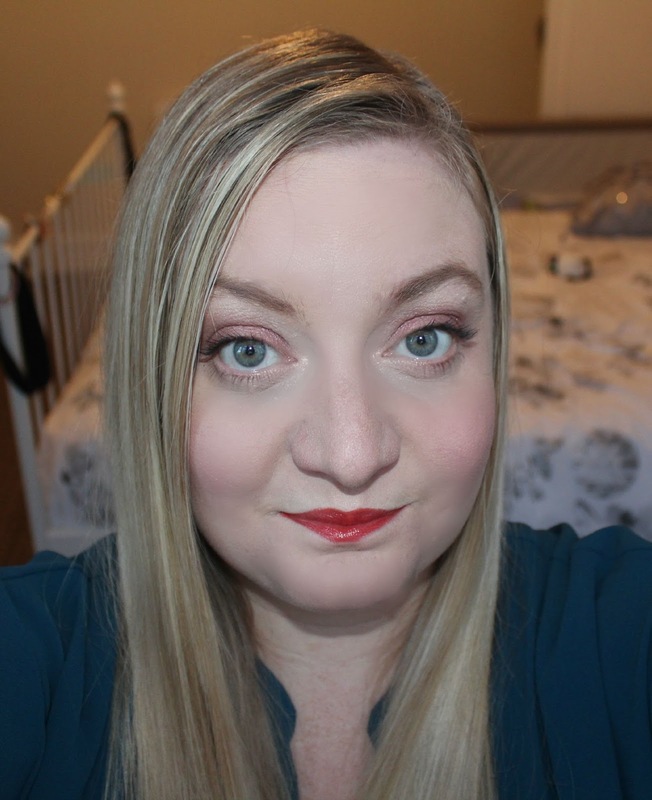 I don't know about you, but for me lipstick is the cherry in the cake of my makeup routine - everything else tends to stay the same every day but the colour of my lipstick can really determine what vibe my overall look is going to take on that day and I love that chance to experiment and show some personality through colour. 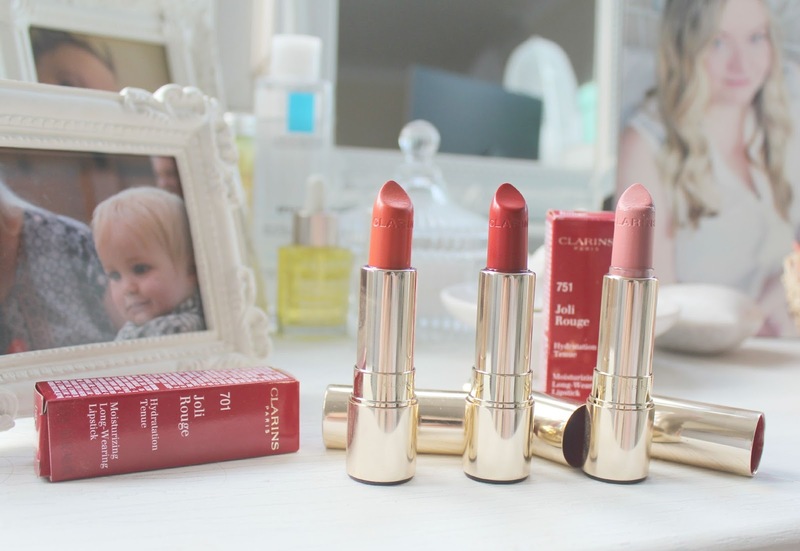 My favourite range, Clarins Joli Rouge, has now been enhanced with a moisture-enriched formula and there is a whole new range of beautiful shades on offer so I was delighted to get the chance to try some out! 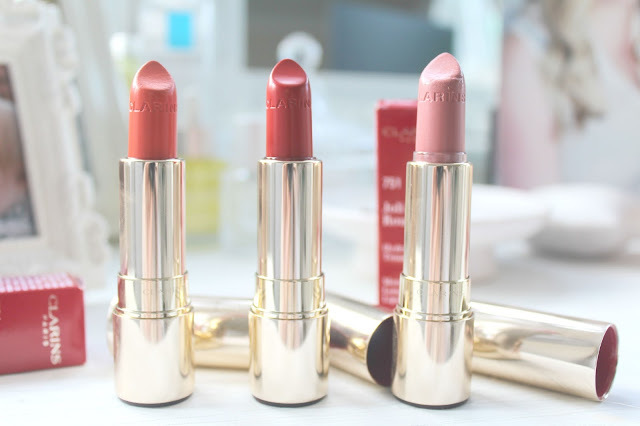 The lipsticks are highly pigmented and contain high-shine ingredients that give that gorgeous creamy-gloss effect, and as well as nourishing and moisturising your lips the colour lasts for up to 6 hours too!! 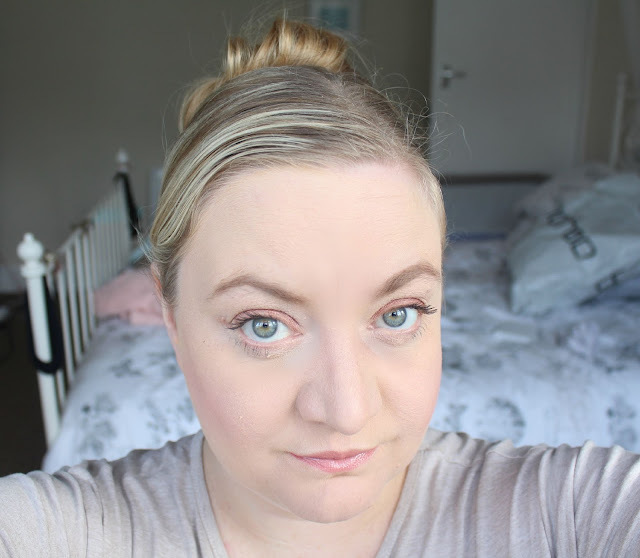 I chose a variety of shades - Tea Rose which is a subtle dusky pink was my overall favourite for an every day look, I love dusky lipsticks but find that they can so often be dull and drying - as you can see below the Tea Rose remains glossy which I love! I also tried the Orange Fizz, which is a colour I've never worn before but I wanted to give it a go after seeing orange lipshades on the celebs a lot recently - I loved it! 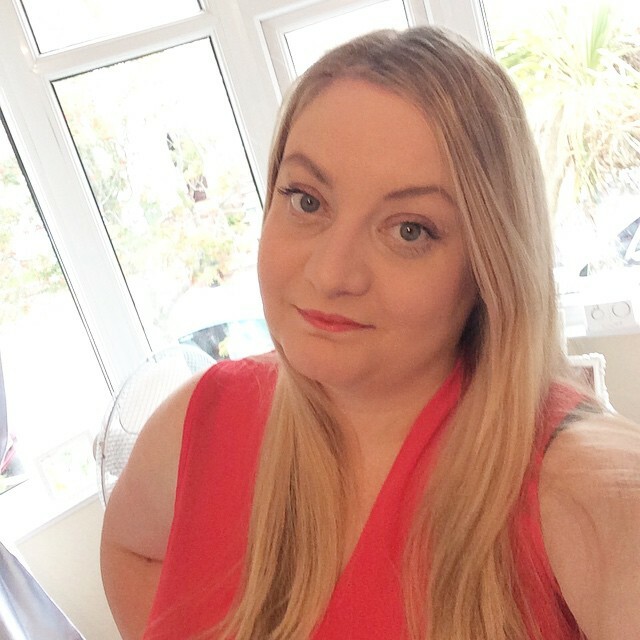 It gave such a vibrant pop of colour without being too "OTT"
And the final shade I tried was Cherry Red, I'm always on the lookout for my perfect shade of red as I want something bright but not too shocking...and I think this is just perfect! I will be wearing this a lot particularly over the festive season! These look lovely on you but I don't think I could pull off that shade of red. Well, not unless I was going for the Ruby Wax look. I love the shades you chose. especially the red. I really love a red lip. I am trying to be more bold and wear it more often. I also love the tea rose colour. Gorgeous. The Cherry Red is fab, I love red lipstick but it can be hard to find the right shade. That one looks like it would be just right for me and I also like the soft pink too. The lipstick makes all the difference in the world. Thanks for sharing these amazing colors. I really like them all ... But I am a sucker for a big bright red and I think I always will be. It looks lovely on you. 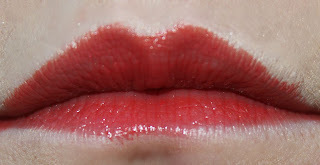 I love the cherry red lipgloss it looks gorgeous on you how much do they retail at?